Newark Light Rail. NJT photo. There is no dispute that the proliferation and popularity of light rail and streetcars has been the great success story on the North American transit scene since the 1980s. Forty years ago, only seven American cities and Toronto in Canada retained even a single streetcar line that survived from the “golden age” of rail transit. Today there are dozens of lines in the U.S. and Canada, including new starts in their first few months of service. On April 7 through 9, managers from light rail and streetcar systems around the world met in Jersey City, N.J., under the auspices of the American Public Transportation Association (APTA) and the Transportation Research Board (TRB) to share news about the latest technical developments and to hazard their educated guesses about the future of those increasingly-popular urban transportation modes. The conference was appropriately titled “Resurgence and Renewal,” and it had distinct local, national and international components. New Jersey Transit (NJT) was the host agency and provided much of the local component. There are three distinct and disconnected light rail lines in New Jersey. The conference was held near the Exchange Place station on the Hudson-Bergen Light Rail (HBLR) line, a 34-mile route (including branches) that runs partially on city streets in Jersey City, partially on the historic former Jersey Central Railroad right-of-way south to Bayonne, and partially on a new line going west and then north from historic Hoboken Terminal, a major transfer point. NJT Executive Director Kevin S. Corbett noted in his welcoming remarks that the three light rail lines on NJT account for 80,000 customer trips per day. HBLR is an “interurban light rail line,” and was NJT’s first DBOM (Design, Build, Operate and Maintain) project, as well as the agency’s first public-private partnership (P3). He added that the line has contributed to the current economic boom in Jersey City: “The HBLR is a great example of how the flexibility of light rail can help communities grow and drive economic development.” Since HBLR’s first segment opened in 2000, it has run entirely in Hudson County, but there are plans to extend it northward into Bergen County on a portion of the historic Northern Branch of the former Erie Railroad. Newark Light Rail, which serves downtown Newark, was originally the Newark City Subway, a streetcar line that opened in 1935 and operates partially underground and partially in the former bed of the former Morris Canal. It has been extended twice: into Bloomfield, and with a separate segment to the Broad Street Station in Newark, where Morris & Essex Line commuter trains stop. Other presenters gave an overview of the HBLR line and its impact on the local area, particularly in Jersey City and Hoboken. Jon A. Carnegie of the Voorhees Transportation Center at Rutgers University explained the history of the area, which was once an industrial waterfront served by nine railroads. He noted that the HBLR was originally envisioned to be a busway, but credited it and other transportation improvements with the revitalization in Jersey City that began in the 1980s. Carnegie’s colleague, Devajyoti Deka, reported that HBLR’s catchment area was difficult to describe because of the area’s geographic complexity, but said that 61% of respondents to an NJT survey said that proximity to the line played a part in their residential choice. Megan Massey, NJT’s Assistant Director, Transit Friendly Land Use & Development, explained how her agency worked with communities to engage residents near the lines and promote transit use in those communities. She said that NJT is now working with 60 communities concerning issues of transit-oriented development (TOD), ridership and livability. The other “local” figure on the program was the lunchtime speaker, MTA New York City Transit President Andy Byford. He told Railway Age that there might be light rail lines in his agency’s future, but there are no current plans to add such services. 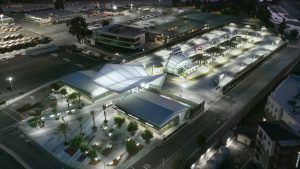 Byford has received high marks from managers, advocates and riders alike for his efforts toward improving the city’s subway and bus systems and the services they provide. Byford began his remarks by saying, “I’m a railwayman” and “It’s a great career!” He recounted his prior experience in London (where he started), Sydney and Toronto, and greeted attendees that he had known at the Toronto Transit Commission (TTC). He initiated serious corporate planning at TTC and said that one of a manager’s most important missions is “getting the culture right.” Byford stated his four major goals for transit in New York: transform the subway system, transform the bus system, make the system accessible for everybody, and make sure that customers have “excellent interaction with employees.” He showed his resolve by stating, “I love to find skeptics and I love silencing scoffers.” The audience, whose Toronto members probably outnumbered its New York members, was impressed with his accomplishments and his spirit, and was captivated by his stories. 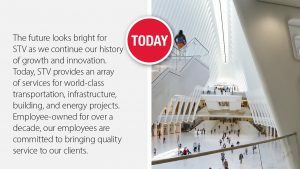 Byford concluded by saying that he wanted to bring New York’s transit from a State of Emergency to a State of Excellence within ten years. Nobody expressed any doubt that he would succeed. On the national level, including Canada, most of the talks concerned technical innovations about vehicle safety, off-wire technology, traffic-signal priority for streetcars and light rail, vehicle design (yes, LRVs are getting longer) and new train control and traction power systems. Other sessions dealt with such issues as modernizing older systems, procurement, interactions with other vehicles on the streets, expansion from “urban systems” to “regional” systems, and keeping vehicles and other infrastructure in a state of good repair. The event was billed as a “Light Rail & Streetcar Conference,” and we asked participants how they would distinguish between the two modes, if they had not yet merged into a single mode. Several said that speed was the primary difference; that light rail is the successor to the historic interurban lines, which ran faster than streetcars on city streets. 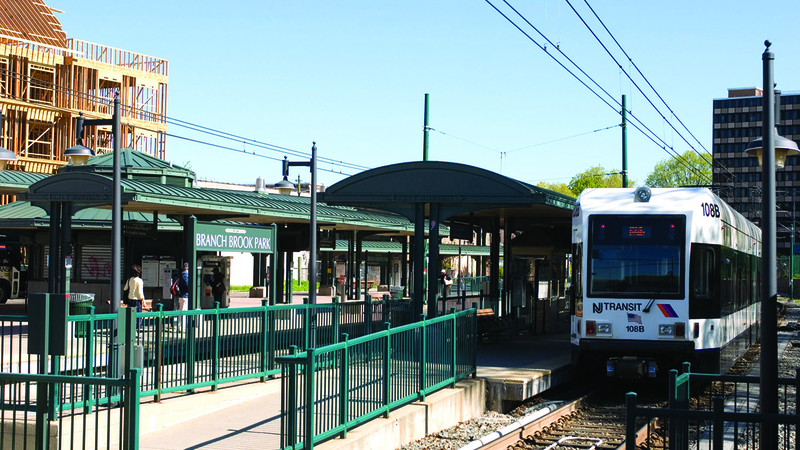 Thomas B. Furmaniak of LTK Engineering Services, Chair of the Light Rail Technical Forum, had authored a 24-page brochure that describes the differences in technical detail. It can be found on the website of the Community Streetcar Coalition, www.streetcarcoalition.org. Austin, Tex. researcher Lyndon Henry, along with co-authors David Dobbs and Olivia Schneider, pointed to capital cost as one of the primary differences between the two modes. They compared economic developments of investments in transit projects in terms of a return on investment (ROI) across modal lines. They compared Rapid LRT, streetcars and busways (often known as “bus rapid transit” or BRT). On a cost-of-project basis, streetcars performed best, because of the development they influence, and their low cost, compared to LRT. The streetcars in Portand and Detroit were the biggest winners, according to the study they presented at the conference. The same team may present calculations on a cost per-mile or per-passenger-mile basis next. Time will tell if the results are similar. The event had a strong international flavor, too, including an entire panel devoted to Australia. Besides the U.S. and Canada, presenters gave their talks about systems in the United Kingdom, France, Spain, Hungary, Australia and Israel. Kevin Dwarka, a lawyer and land-use consultant in New York City, gave a presentation about a light rail line in Jerusalem that serves both predominantly-Jewish West Jerusalem and East Jerusalem, home to a population of mostly Palestinians of Arab heritage. The line and its riders have been caught up in the political wrangling that has been involving Jerusalem for the past 70 years or more, but there is still hope that both populations will increase their understanding of each other by riding together on transit. 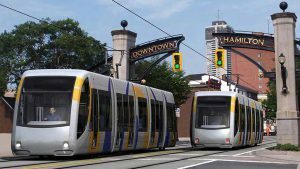 There is no doubt that streetcars and light rail are attracting riders in dozens of communities across North America, including some cities with “legacy” transit systems. These lines are popular, and managers hope they stay that way. There are other modes that are now competing with local rail, like busways and automated motor vehicles, including some that run on rails. We asked how streetcar and light rail managers were fending off this new competition. Nobody had a specific answer, but light rail and streetcars have attracted riders to a greater extent than buses have, and there is reason to expect that those modes will continue to do so. For many riders, there is something about a streetcar that a bus cannot duplicate. 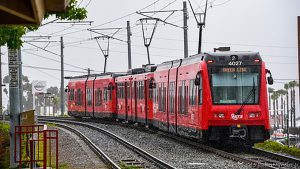 Light Rail 2019, presented by Railway Age and Railway Track & Structures, takes place in Santa Monica, Calif., April 24-25. This conference offers Professional Development Hour credits for Professional Engineers. See https://www.railwayage.com/lightrail/https://www.railwayage.com/lightrail/ for further information and registration.